What is grain-free flour? Well this is a specific question regarding those substances that act like grains but are botanically not made from grains.Those who don’t eat wheat will benefit from this posting. 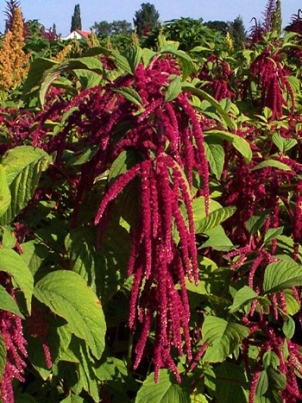 Specifically, these flours are useful for those who follow the special grain-fast called Ekadasi, which falls every two weeks as the moon enters it’s eleventh phase after the full moon and new moon. 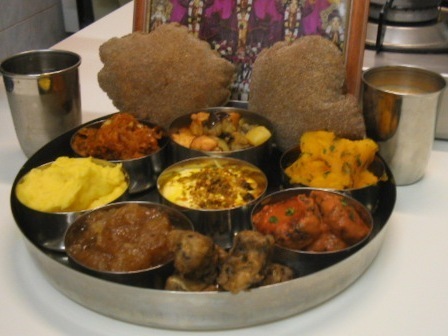 Ekadasi means ‘eleventh’. 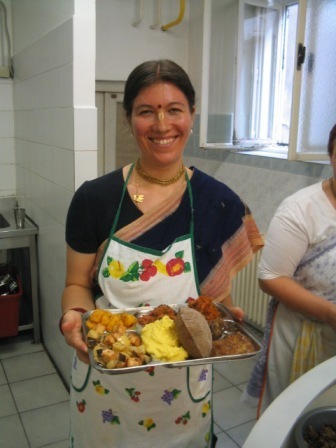 Below is pictured a complete feast of ekadasi-friendly dishes cooked at a session in Ljubljana, Slovenia a few years ago.